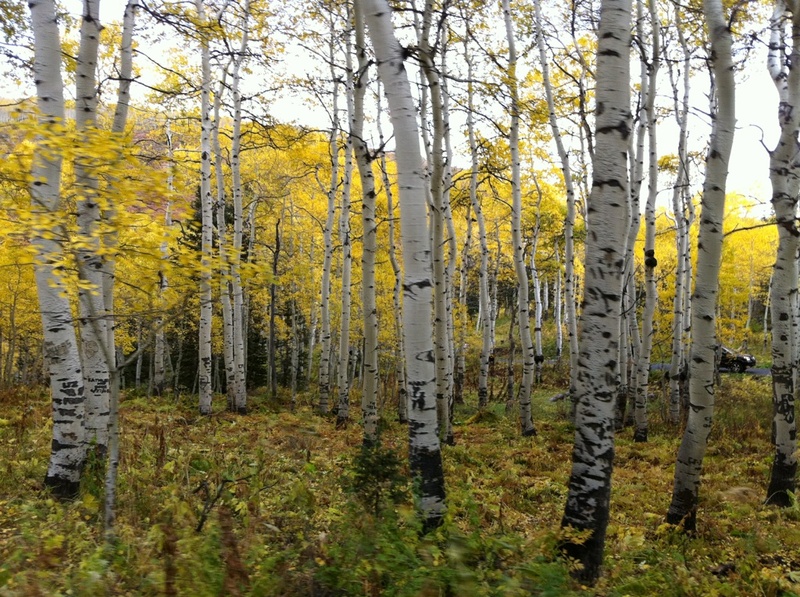 If you haven't been up the canyon to see the fall colors--drop everything and GO NOW! 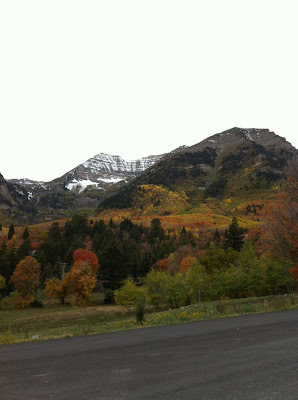 We spent Sunday afternoon driving up and over Aspen Loop into American Fork Canyon. The mountains were on fire with every color you can imagine. 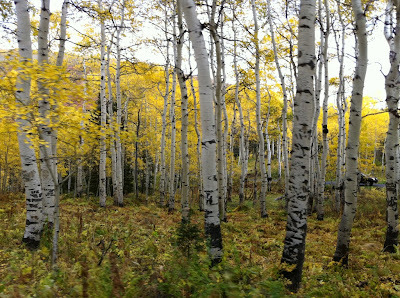 The aspen trees were the most brilliant color of yellow, almost fluorescent. Then after the summit we dropped into the lodge pole pines of AF canyon. We stopped and explored along the way. 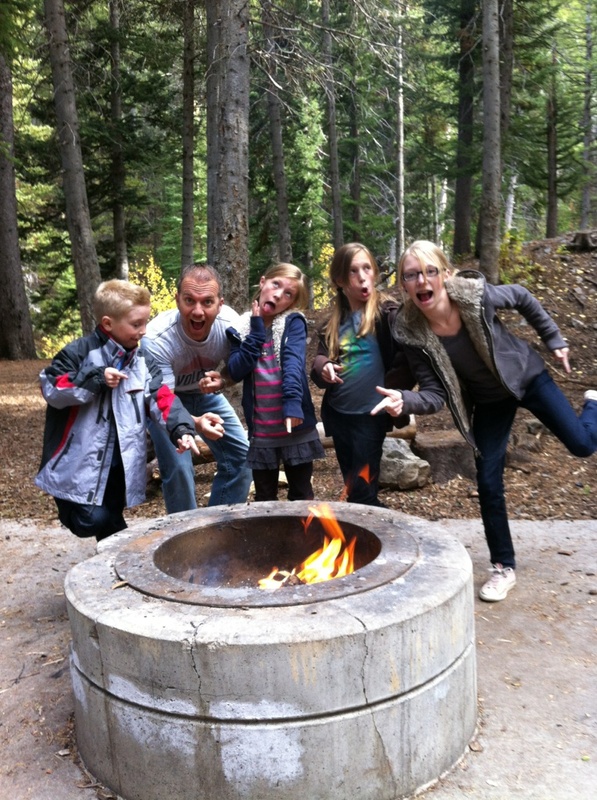 We squatted on someone's recently deserted campsite and stoked up their old embers--spontaneous bon fire! We hiked down to the river--which bandit (our puppy) was terrified of. Finally his love for us surpassed his fears and he crept down to be with us. It was a magical afternoon. Then we continued on, catching the I-15 at the point of the mountain and joined the Nielsen clan for a fall fiesta. *The hatchback open and the kids in the back looking out. The silouettes of their little backs and blowing hair. *The joyful hollering of Troy and the kids when they discovered a mossy river. *The slippery tree stump that made both Troy and I fall in the river. *Bandit sitting at the top scared to death--then finally, slowly inching toward us. *Finding leaves on the trails-especially the speckled one. *Discovering gold dollar coins in the car that paid for us to enter the park. We would've had to turn around-we both left our wallets at home. *Ash saying the mountains looked like a rainbow. *Just driving at our own pace, in no rush, just soaking it all in. Hi! I know there is a hiking trail that starts at the camp. I think your best bet is to talk to the missionaries in charge when you get there (or you can call them beforehand) to learn more about it. We didn't do any hiking besides going to the different lakes for Book of Mormon activities. Good luck! Where You Go Becomes Who You Are. Go Somewhere Unforgettable. 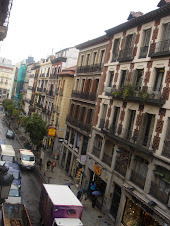 Spain! 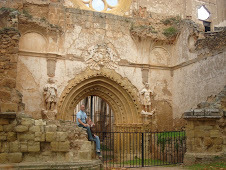 We went back to my birthplace last October with my parents as our tour guides. 34. Married to my favorite person. 4 spirited, passionate kids. Latin at heart. Not quite a grown up yet. If I live to be 100 it won't be enough time to do and see all I want.